Aerial tubular railway with hot galvanized tubular, appropriate for use to slaughter houses. The quality of the galvanization is suitable for slaughter houses and resistant to the adverse conditions into the slaughter house. Absolute safety in carcasses movement. The hooks cannot fall from the rail. Very high speed handling of carcasses, and minimize of manual strength. Long life, under difficult working conditions, with the minimum damages due to the lack of frictions (without any requirement for the use of lubricants). Easy installation (assembled construction) and any amendment can be done very quickly. 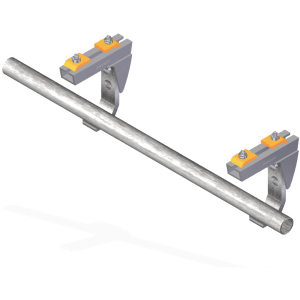 Double profile stainless steel railway aerial line, appropriate for use to slaughter houses and meat industries. Completely made of anti-corrosion, high quality and resistant materials. 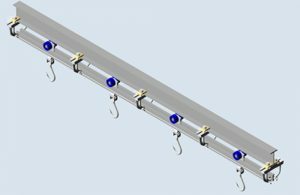 Capability of combining rails of different directions and branches, easy handling of the flow of carcasses. 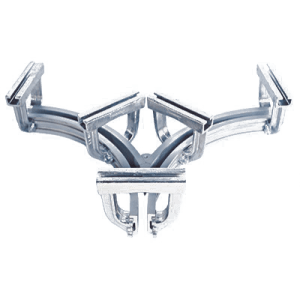 Easy and excellent cleaning even to the most difficult points. Thus, do not occur outbreaks of microbial infections. 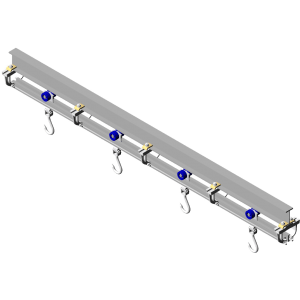 The Aerial line of double profile aluminium railway with its handling system is ideal for handling the carcasses in slaughterhouses, meat processing industries and refrigeration chambers. 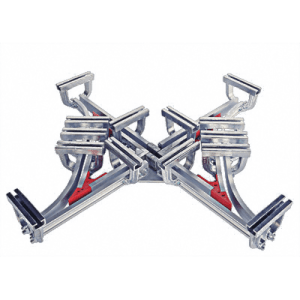 Aluminium branch “Y” type is appropriate for installation at the aluminum railways of slaughterhouses and meat industries. It is installed at the aerial line wherever the direction should be right or left.